Russia’s interference in the internal affairs of the United States has made headlines again. This time the suspicion reaches new shades after the resignation of President Donald Trump's main lawyer on the issue of the possible interference, which is investigated by Special Counsel Robert Mueller, who that has uncovered numerous documents that not only relate Donald Trump to the Russians, but also to several of his family members with people from the Moscow government or influential members in Putin's cabinet. The resignation of John Dowd happened after the reorganization of the president’s legal team. According to AP, the lawyer confirmed his decision with a message of admiration for the president and good men. However, he left the legal team that added a new member, former Attorney General Joseph di Genova, who has publicly stated that the responsibility of all have been the FBI agents and its former chief James Comey that plotted against Hillary Clinton and indicating the president of crimes he has never committed. The resignation of the main lawyer makes the president to be in trouble since just before that it was already difficult for the team to set the terms and conditions on which the interview with Robert Mueller will take place, an interview for which the president of the United States has reiterated on more than one occasion he feels prepared for and in which it will be proven that everything has been part of a plot. Despite these statements, Dowd has not stopped expressing uneasiness and the president's lawyers prefer not to expose the president to a private interview with Mueller. Dowd has not ceased to say that the investigation should stop; however, in a press release, the legal team clarified that the president did not request the Mueller’s dismissal. This has been the second readjustment of Donald Trump's legal team so far this year. So far the special prosecutor named for the investigation, Robert Mueller, has not left his crusade in search of the truth about the Russian intervention in the 2016 elections. In addition to exposing 13 Russian citizens who allegedly spread negative messages against Hillary Clinton, stole identities and created false profiles, he added the links of Trump's son-in-law Jared Kushner with Serguey Gorkov, a Russian banker with whom he met several times. 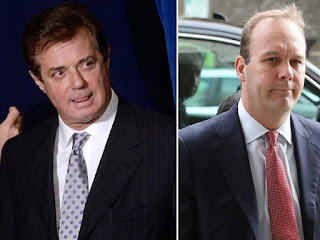 The illegality of the president's campaign team was also uncovered, starting with the head of the campaign Paul Manafort as well as other important advisers like Rick Gates. And although Donald Trump is supposedly not involved in the Russian meddling, it is quite curious that the closer the meeting with Mueller get, his lawyer decides to resign. Does John Down know something? Another suspicious matter is that Donald Trump has fired or tried to dismiss all those who have delved into Russia collusion. James Comey was the first one and although he has tried unsuccessfully, he does not stop expressing his contempt to Robert Mueller for continuing the investigation. Besides, he has also harassed him through social networks, which seem not to bother the Special Counsel. A new chapter of the soup-opera inside The White House certainly will be written after Trump interview with Mr. Mueller.